This Croydex Small Round Magnifying Mirror is a neat, practical mirror on a moving arm. 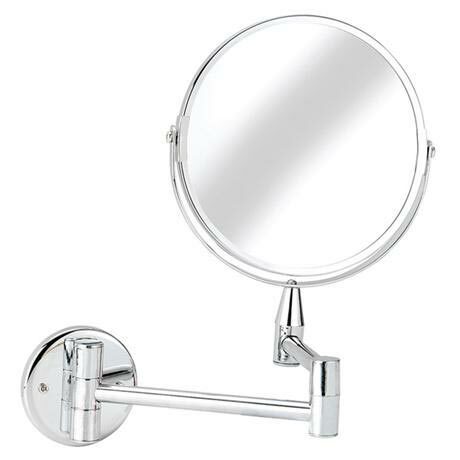 The Magnifying mirror provides x2 magnification making viewing easier. The Arm is finished in a stylish chrome. Our stylish range of mirrors combine design innovation and top quality manufacturing to offer a comprehensive collection, with something to suit any style of bathroom. "Excellent product for the price. I was surprised by their quality, they look, and are serving me better than other more expensive mirrors bought previously from other outlets." Compact design, easy folding action, plus speedy delivery.